Have you ever tried to paint a fire? Here’s our mess free fire painting technique. Click on the arrows below to see the final paintings. We did some ‘mess-free’ painting today to create fire paintings. 🔥 The children picked which colours to use and how much of each colour they thought they needed to recreate fire. 🔥 1. Put some paper or card into a ziplock bag. 2. Squirt some paint onto the card in the bag. 3. Seal the bag. 4. Squish the paint. 5. Carefully pull the card back out of the bag. 🔥 Tip: If you want this activity to stay mess-free it’s best if you pull the card back out of the bag, rather than your child! 🔥 Have you tried ‘mess-free’ painting before? We talked about what fires look like, the colour of the flames and the shape of them. We wanted to use movement to create our paintings, to capture the tendrils of flames, curling around each other. Using a dark background made the colours of the fire more intense. We picked yellow, red and orange for our flames. This activity was great for learning about colour blending. We talked about fire safety whilst creating our pictures. We also read ‘Frances the Firefly’ a free downloadable story for children about fire safety. The kids used gross motor skills whilst fire-painting, making big sweeping movements with their hands to recreate the shapes of the flames. You might be interested in the work of Steven Spazuk, a fire artist. He uses a technique called fumage, using fire, soot and acrylic paint to create pictures. Warning: If showing children this video please reiterate the messages about fire safety. 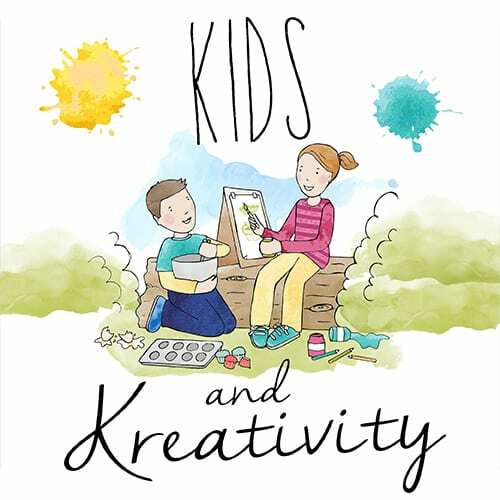 10 top art tips for parents which includes other ideas for minimising mess when creating with children. How to use glitter without making a mess! Thanks Josie, I agree. Process art is so good for building children’s confidence and allowing them to explore different materials and techniques. I’d love to see your photos if you do. Just tag @squidgydoodle on Instagram and Facebook or @SquidgydoodleHQ on twitter. We’re fans of messy art but sometimes it’s good to have a mess free alternative. It’s great for discussing colour mixing.